Hi everyone! I’m Abhansh, and I’m working on Making Transactional Email Templates Dynamic project for GSoC 2018. If you want more information about what this project is all about, check out the gitlab here. Mails are the de-facto standard for e-communication these days. We will be using MJML as our templating engine. Hi everyone! I'm Andy, and I'm working on the OSDI integration project for GSoC 2018. If you want more information about what this project is all about, check out the GitLab here. The source code is here. The OSDI standard is a set of standards for interoperability between products in progressive movements. For more information about OSDI, click here. For a more detailed list, look here. For the 3rd year, our application has been successful and google will pay students to work on CiviCRM for the summer. This is a wonderful opportunity to get new features or improve existing ones. Just as important is the chance to get new contributors that may remain contributors for years to come, to help students discover how to contribute to a "real world" project, and get experience working in an open-source community. We have already a solid list of mentors that have been contributing to CiviCRM for years and a lot of project ideas. SYSTOPIA, which is also – conveniently – based in Bonn. Hi, I am Vishal Agarwal a fourth year undergraduate student pursuing Computer Science And Engineering at IIT-Bombay, a Google Summer of Code student for the year 2015. This is the final blogpost on my GSoC project - Integrating Google Analytics with CiviCRM. I was mentored by Kurund Jalmi. This blog post describes the features of my project. 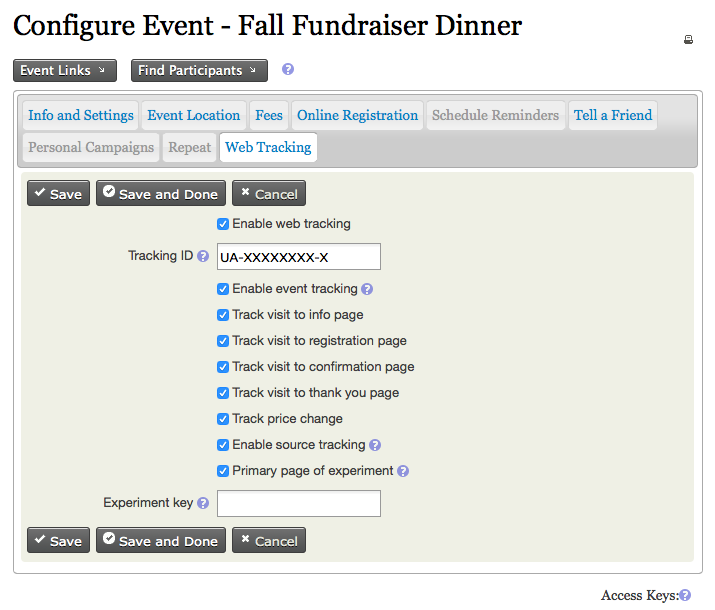 I have added a new tab called Web Tracking to the event configuration page and the contribution configuration page. Using this tab, administrators can input configuration parameters related to Web Tracking. Hi again, I'm Anudit Verma, a sophomore undergraduate student pursuing Computer Science and Engineering at University School of Information and Communication Technology, in New Delhi, India. This year I worked on Open Supporter Data Interface (OSDI) API implementation into CiviCRM project as a 2015 Google Summer of Code student. This is my second blog post in which I will be concluding and summarizing the work I have done past this summer.